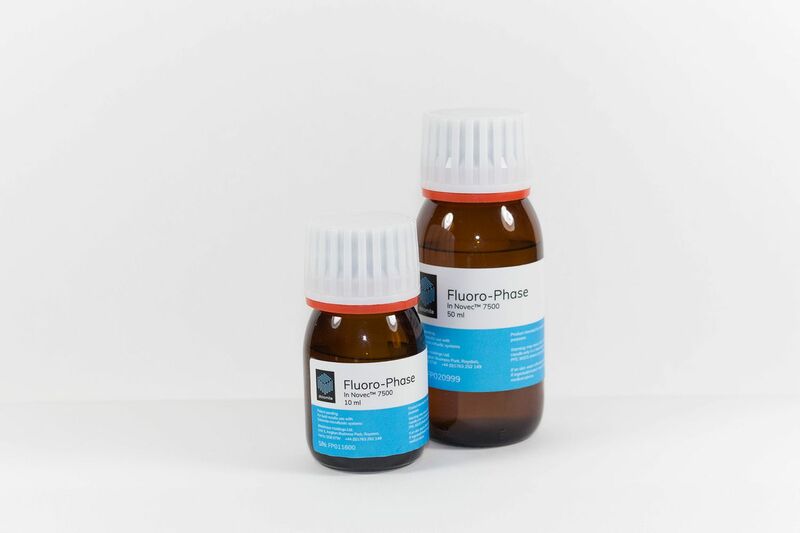 ST NEOTS, England - Aug. 1, 2018 - PRLog -- Dolomite Microfluidics (https://www.dolomite-microfluidics.com/), part of the Blacktrace Group, is delighted to launch its new Pickering emulsion stabilizer Fluoro-Phase, a fluorinated continuous phase that has been specially formulated to stabilize aqueous droplets in microfluidic systems. Unlike most emulsion stabilizing oils, which use molecular surfactants, Fluoro‑Phase relies on functionalized silica nanoparticles that support highly stable emulsions, making it ideal for biomedical applications involving droplets with complex compositions. This novel development offers a number of advantages over traditional surfactants, including faster droplet formation and compatibility with a broader range of reagents in the droplet phase. The new product came out of a partnership with Professor Sindy Tang's group at the Department of Mechanical Engineering, Stanford University (https://web.stanford.edu/group/tanglab/). Fengjiao Lyu, a graduate research student, said: "It's often assumed that there is no leakage of small molecules between droplets. However, during experiments for droplet-based bacteria detection, we observed interfacial transport of fluorophores between droplets, which affected the reliability of the subsequent fluorescent signal – a common problem experienced by scientists. We needed to find an alternative solution to traditional surfactants and developed a nanoparticle-based alternative, similar to stabilizers already used in food and cosmetics." Professor Sindy Tang said: "Dolomite Microfluidics was keen to work with us to move the technology forward, and Blacktrace's ability to manufacture nanoparticles in house made Dolomite an attractive company to partner with. The engineers' and chemists' experience in microfluidics meant that when we discussed problems, we were all on the same page, and they helped us to figure out the necessary synthesis details to bring the product to market. There are a number of applications that extend beyond surfactant replacement, and we look forward to continuing the conversation to support future developments."